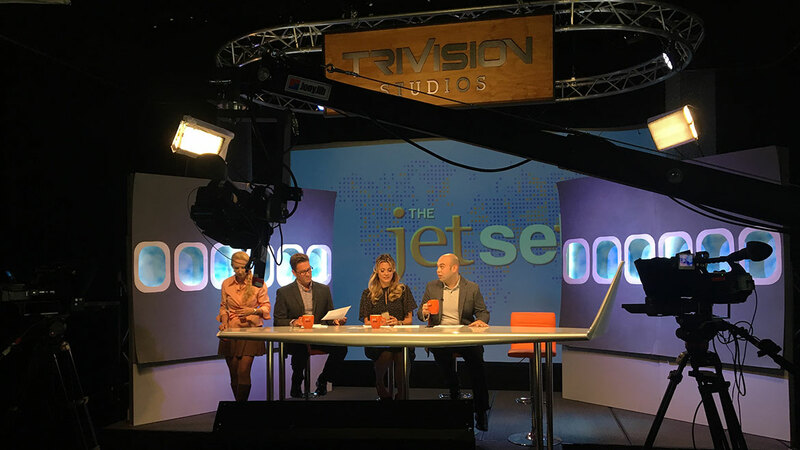 From its headquarters in Dulles Virginia to its downtown (partnered) Baltimore studio facility and its studio in the heart of Washington DC, TriVision has a vast network of production studios, making it one of the largest production houses in the Washington DC/Virginia/Maryland area. 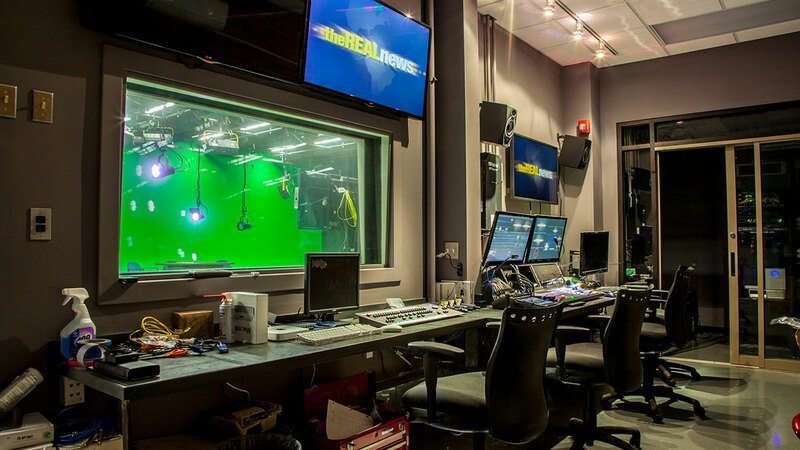 TriVision has Northern Virginia’s largest and most versatile production studio; it occupies more than 12,000 square feet. Located near the Dulles International Airport, and Technology Corridor, the facility is very convenient for most of our corporate and government clients. 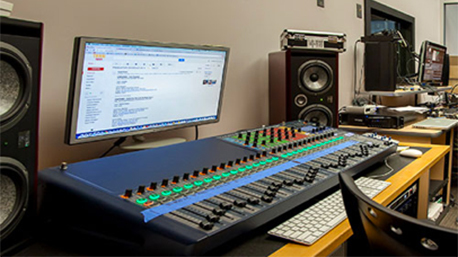 In addition to our soundstage studio, we have an enclosed sound treated studio, which is directly wired to our control room and has a lighting grid for creative lighting. 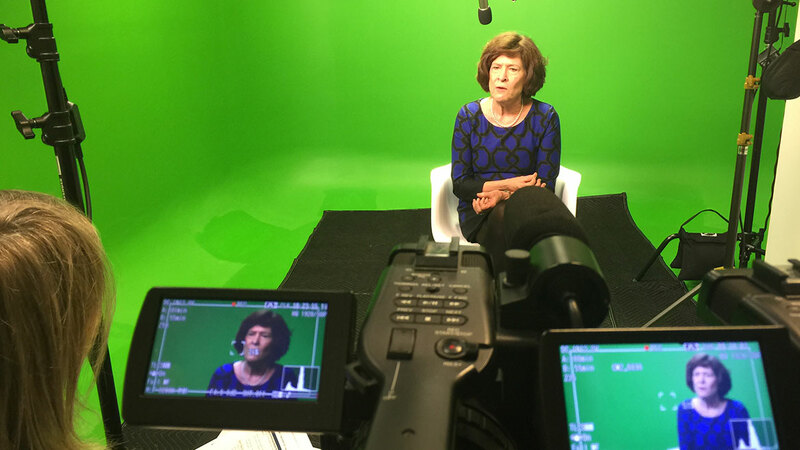 This smaller studio is ideal for more candid or green screen productions with less on-camera talent; the enclosed space is private and a perfect option for smaller productions. 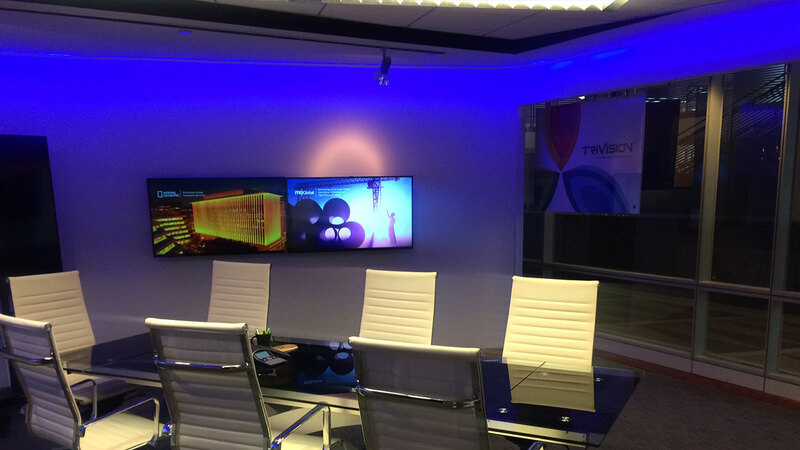 TriVision’s newest studio is located in downtown DC in the prominent Ronald Reagan Building and International Trade Center. It’s the 2nd best address in DC – right down the street from the White House! 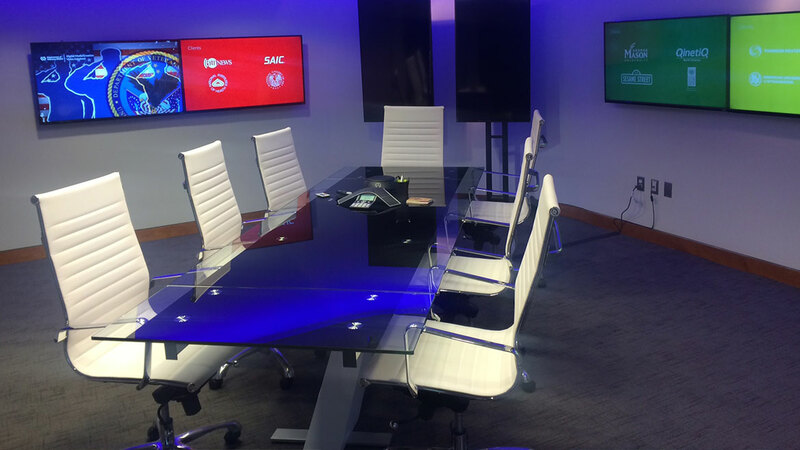 The studio also has direct access to the Metro, and is mere blocks away from many major government agencies and the central DC business district. This versatile and modern downtown facility is Baltimore, Maryland’s largest; it covers 10,000 square feet across 2 floors. 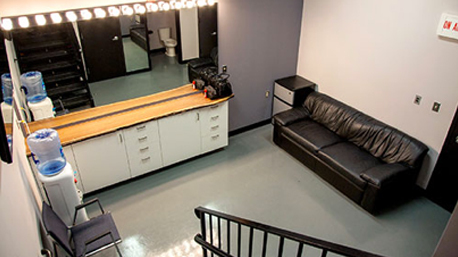 Conveniently located at the Real News Network just minutes from Baltimore’s world-renowned Inner Harbor, Baltimore Studios provides space for multimedia productions, studio rentals, town hall meetings, projection screenings, and special live performances. 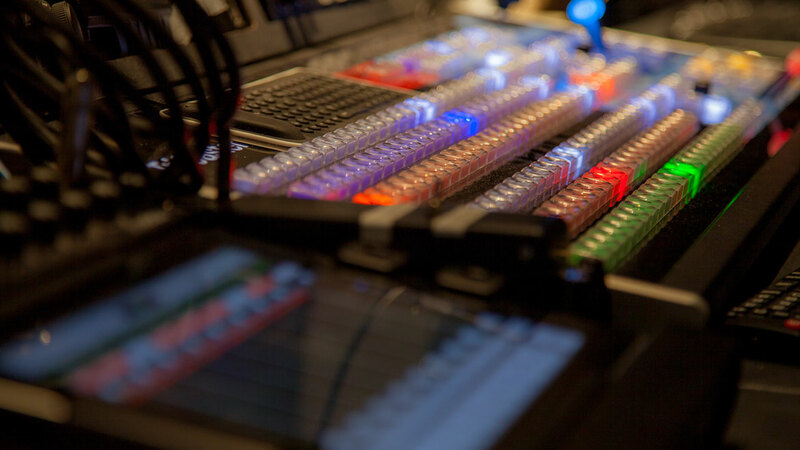 Baltimore Studios offers clients comprehensive solutions for video productions, photography, live switching / streaming, and audio-visual services. Our team includes experienced producers, directors, writers, videographers, lighting & sound technicians, graphic designers, editors, and animators. 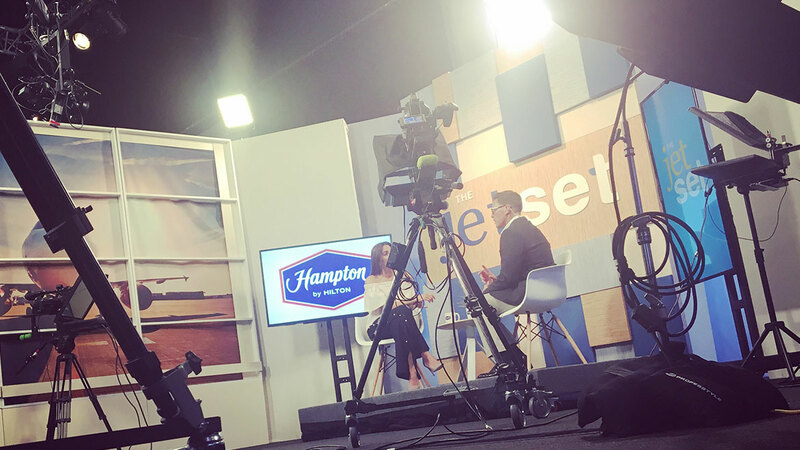 Our new, custom built soundstage studio is suitable for live performances, shows, projection screenings and special event gatherings of up to 110 people.